Marijuana or cannabis is a natural plant that is cultivated for its psychoactive properties. Once used across the globe as an integral part of religious ceremonies, marijuana is more often linked to illicit drug use. Thankfully, after many years of being shunned and outlawed, a better understanding of this plant and its therapeutic properties has begun. While there are hundreds of chemical compounds that can be found in cannabis, the two most widely known are THC and CBD. Tetrahydrocannabinol (THC) is the main compound that is responsible for the “high” most users achieve when using marijuana. Cannabidiol or CBD has the opposite effect and is believed to relieve unwanted discomfort without effecting cognitive abilities. While not all conditions have been approved for marijuana treatment, many of the more serious life-threatening and debilitating ones have been. and any condition that an opioid can be prescribed. Along with those diseases, patients must also be suffering from one or more of these associated or complicating conditions: Cachexia, Seizures, severe or chronic pain, severe nausea, or severe or persistent muscle spasms. 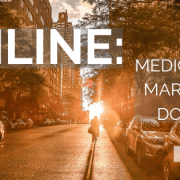 Individuals whose disease is not currently listed as approved for medical marijuana should check back with the state’s Department of Health periodically. Each year since being adopted, the CCA has added additional diseases to the approved list. 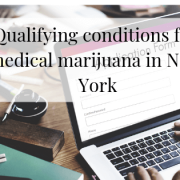 In 2014 Governor Cuomo signed the Compassionate Care Act into law making medical marijuana legal to use if the patient has been certified by both an approved medical provider and the state’s Department of Health. Once patients have completed the approval process, an identifying card will be sent to the address provided during the application process. Patients who wish to purchase MMJ (medical marijuana) must have the card with them at all times. What are the forms of marijuana used? 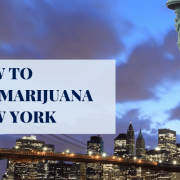 Under the CCA, there are currently only four methods of marijuana consumption that is legal in New York; vaporizing, sublingual, capsular, and topical. Although many patients feel that smoking or eating cannabis is much easier, both have been prohibited. Although many medical professionals agree that marijuana has been shown to help treat several illnesses and symptoms, others do not believe it has medicinal qualities. The FDA, who is the federal approving authority, has declined to recognize the marijuana plant as a medicine. It is interesting to note, however, that due to a scientific study of the chemicals in cannabis called cannabinoids, two medications in pill form that contains cannabinoid chemicals have been approved by the FDA. Medical marijuana is used to treat specific medical conditions as defined by the Department of Health. In contrast, recreational marijuana is an illegal act that is used with the only intent being to get “high.” Additionally, individuals who are self-medicating for conditions that are covered under the CCA but have yet to be approved for MMJ can be charged with recreational use and suffer the same consequences as those that have no medical condition. Traveling with medical marijuana is a complicated issue. New York, as well as many other states, may have legalized its use; it’s not so with the federal government. On a national level, marijuana use is still criminalized, and individuals can face severe charges despite having a state-issued card. 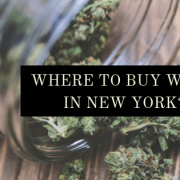 At this time, New York does not permit MMJ products to be brought outside the state. 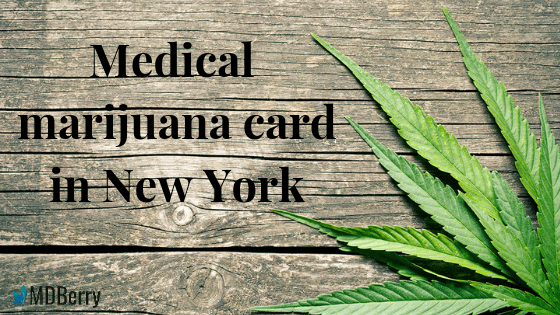 Does insurance cover a medical marijuana card in New York? Under the current Federal criminalization of marijuana use, insurance companies are not required to cover expenses related to medical marijuana. However, the issue of coverage for state-run plans is currently being considered. According to the National Institute on drug abuse, marijuana use can lead to marijuana use disorder which may become an addiction in severe cases. Under the CCA, the Department of Health has worked hard to ensure that providers use caution when determining dosage to help prevent possible addiction. While more research is needed to fully understand if marijuana is a gateway drug, most individuals who use do not go on to harder or more dangerous substances. The short-term effects of marijuana can include altered senses, changes in mood, impairment of body movements, and memory. While these short-term changes are not dangerous unless cannabis is taken in extremely high doses, the long-term effects can be more complicated since marijuana does affect brain chemistry. More research is needed to determine what long-term changes may occur. Unlike other drugs that bind to areas of the brain that control functions such as breathing, marijuana has the most effect on memory and coordination. According to the CDC, there have never been any fatalities linked to cannabis use. Can I breastfeed while using marijuana? The CDC advises against breastfeeding while using cannabis. Regardless of the form of marijuana used (edibles, oils, concentrates, or smoking) chemicals can pass from the mother to her child through breast milk. Does secondhand marijuana smoke affect others? Due to the known risks associated with secondhand exposure to cigarettes smoke, questions have been raised about secondhand marijuana exposure. At this time research is inconclusive to say for sure what the effect, if any may be. However, some studies have determined that it was possible to receive a “contact” high if non-users are in an enclosed room with a smoker for even a short amount of time. The unknown effects should be concerning for non-smokers. The answer is not as straightforward as some people may think. While even the CDC admits that limited or controlled marijuana use may not have any long-term adverse effects, those that use cannabis products more often may be causing damage to their bodies. Unfortunately, due to the limited number of research, a definitive answer cannot be given. However, when discussing use to alleviate the effects of life-threatening diseases, the benefits may outweigh the risks. Because marijuana can impair a patient’s senses, driving or operating heavy machinery while under the influence of marijuana is prohibited. Additionally, law enforcement officials can charge offenders with the same crimes as individuals who chose to drink alcohol and drive. What are the effects of mixing marijuana and alcohol or prescription drugs? Marijuana can change how prescription drugs work causing unwanted and possibly dangerous side effects. Be sure to discuss any medications you may take with your medical marijuana provider. Spice or K2 is a synthetic version of marijuana that is produced by spraying synthetic cannabinoids onto plant material. While most manufacturers market this product as a safe, legal alternative to marijuana, recent studies have shown that it is hazardous. Virtually all medical providers will discourage its use. Currently, the FDA (Food and Drug Administration) has not removed marijuana from the Schedule 1 Drug List and therefore has not approved it for any legal use. Schedule 1 Drugs are those that are determined to have high abuse potential, no medical use, and severe safety concerns. Cannabis can be detected in the body anywhere from 10 days to a month depending on how long an individual used the drug and the type of test taken. How do I know what marijuana dosage to use? Cannabis dosage is typically determined by the prescribing provider. 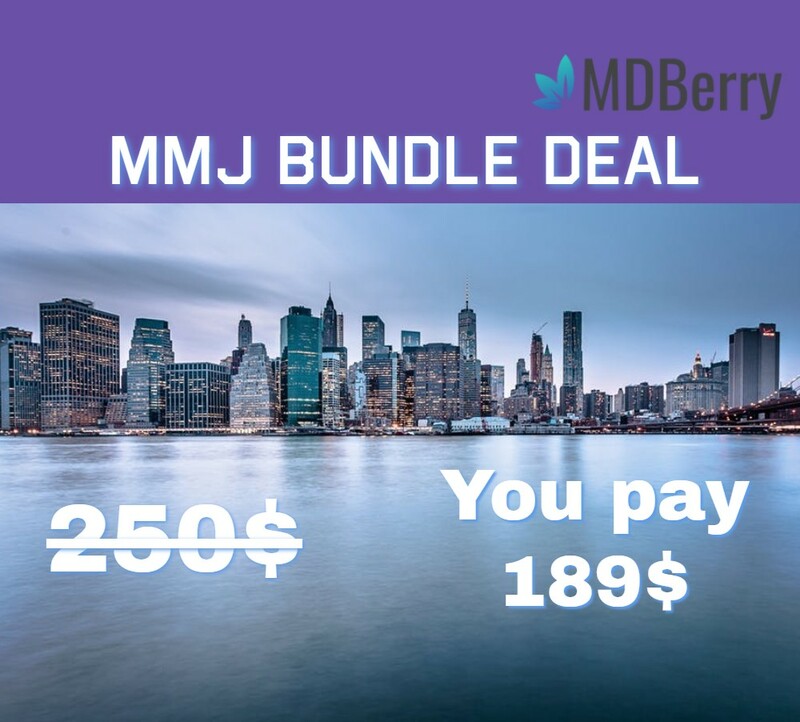 In New York, medical marijuana patients are only allowed to purchase a 30 day supply at one time so strict adherence to your prescription should be maintained.